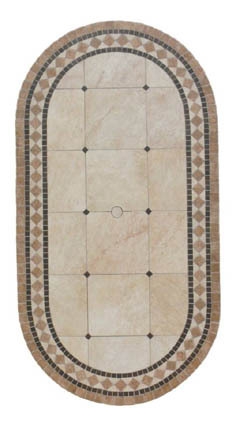 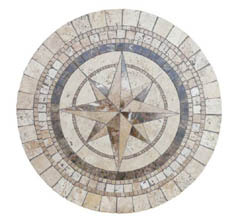 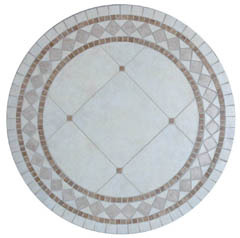 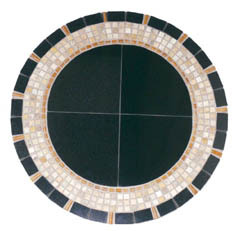 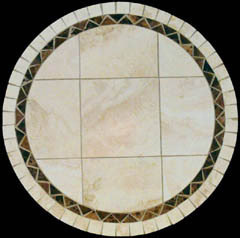 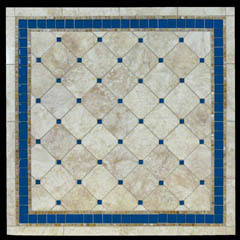 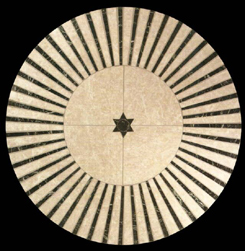 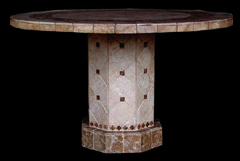 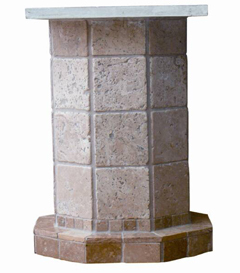 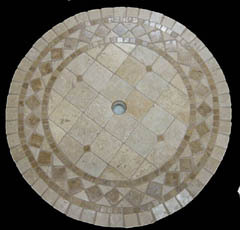 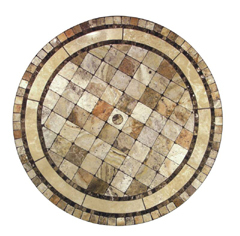 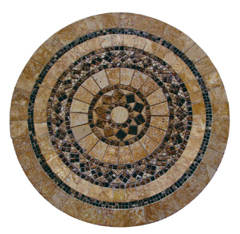 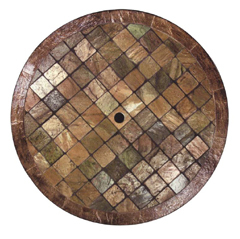 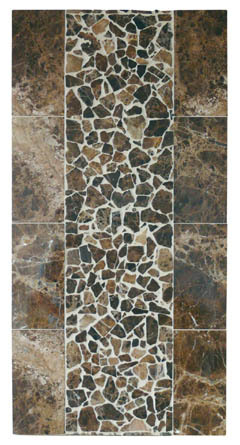 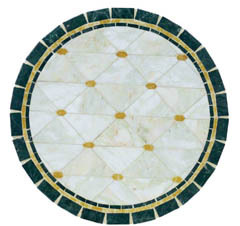 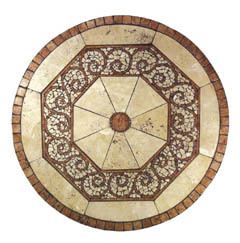 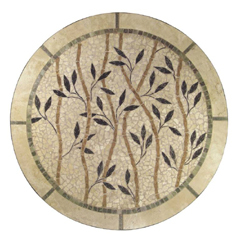 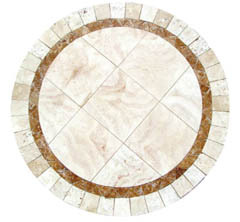 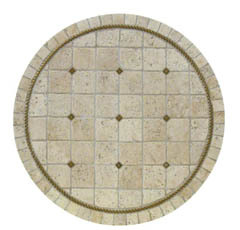 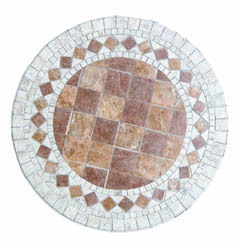 Below you will find a large selection of natural stone and porcelain, mosaic bistro table top designs. 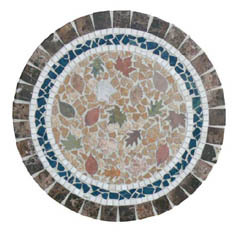 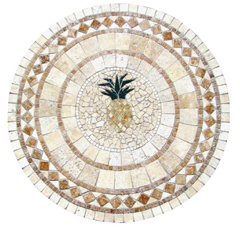 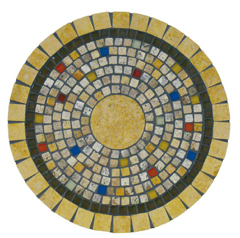 Each of these are hand crafted by American artisans using unique pieces of mosaic stone or porcelain mosaic chips. 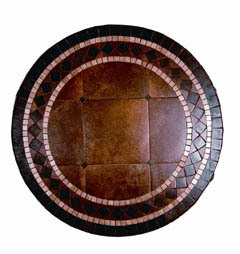 These tables are custom crafted to order, and can be customized into any size, or shape choice that you would like. 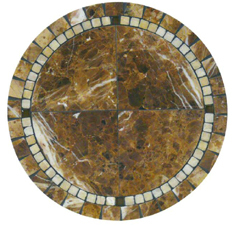 They also come with an optional umbrella hole, as well as the option to have an illuminated onyx ring installed in the surface. 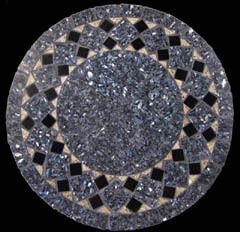 An absolute midnight black, purest dark traversed by tiny lines and then contrasted by off white rings to create a dramatic interplay of opposite light and dark hues which gives these bistro tables a powerful demeanor. 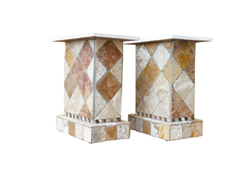 Our bistro tables are crafted with an extremely light weight core that makes them much more lightweight than other comparably sized pieces. 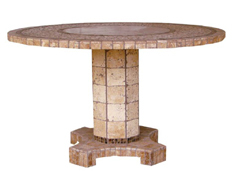 These tables are also specially treated for indoor and outdoor use. 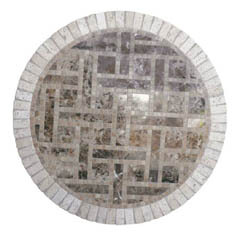 A pattern of illusion and mystery, alabyrinthine design of interconnected mosaics trailing in lines of intertwined contrast, creating an intricate and visually enticing display across the surface of these natural stone tables. 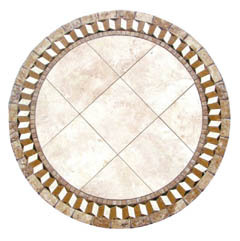 A bistro is a cafe, usually set up with small outdoor seating and tables. 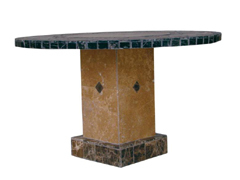 The style of the bistro tables is a major determining factor that sets the atmosphere for the entire establishment. 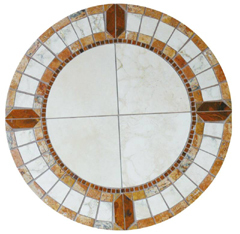 The multiple designs found on this page allow you to pick and choose the exact style that you would like to evoke in your own, home bistro. 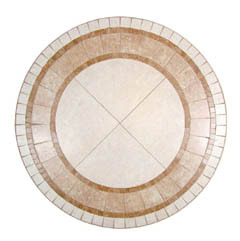 The surface of this table is a contrast of off white hues and trailing bamboo tones. 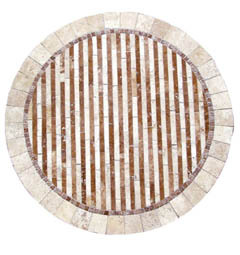 Lines zip back and forth across its face, creating a striped effect, that draws you in, deeper, as if peering into a jungle, a jungle rich with bamboo stalks shooting out of the ground, surrounding you, enclosed around your form, wrapping you in the mysterious adventure of the exotic land.